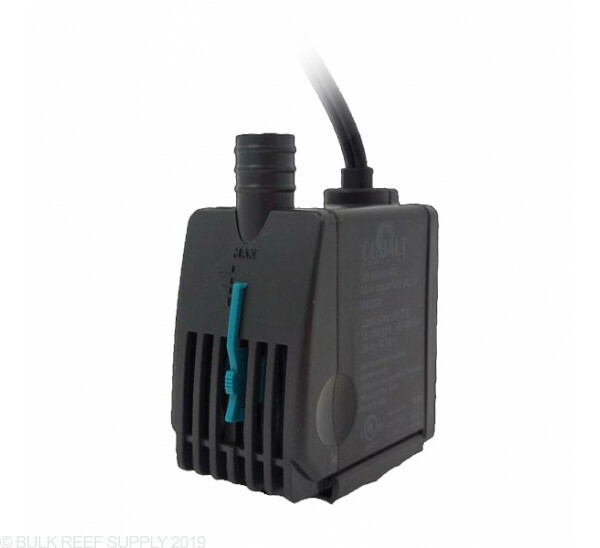 Cobalt MJ pumps have been the go to water pump for years, and now Cobalt Aquatics has the Mini-MJ series! The compact adjustable flow water pumps are perfect for any spot that may be tight on space. Cobalt Mini-MJ pumps have a bunch of applications, and their small size allows them to fit where most traditional pumps would not. 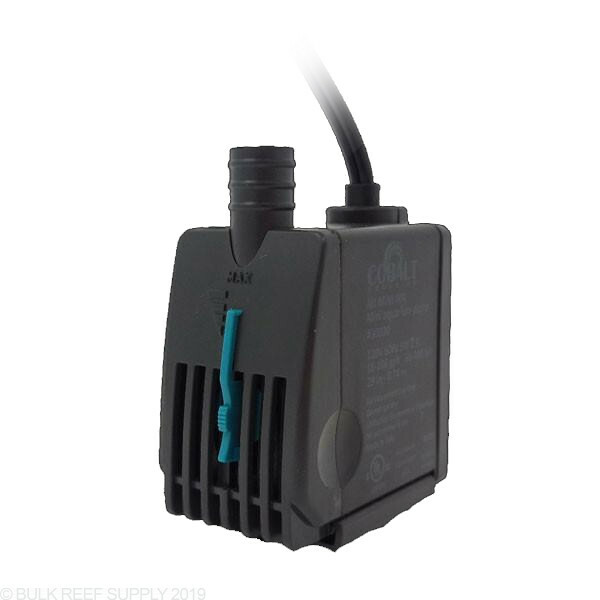 Use Mini-MJ pumps for reactors, water exchange systems, sump flow, AIO return pumps, and much more! Quiet & Reliable - Only quality components are used in Cobalt water pumps allowing them to perform quietly for a long time. Practical Design - Cobalt designed the pumps to have a power cord placed in a smart location (out the top) on the pump allowing them to be placed in tight areas. Thermo-Protection - Mini-MJ pumps will automatically shut themselves down if the pump runs dry & starts to overheat. Max Head Height - 46"